This poor little man was found with his face torn open and scars where his mouth had been taped shut. 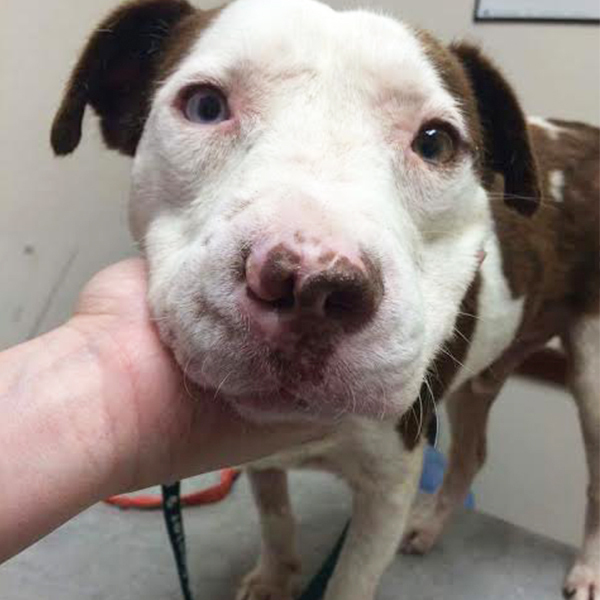 Just unimaginable hurt had gone on here, and that was a calling for Apollo Support & Rescue. If you're local to Dallas, then chances are you've heard of Apollo Support & Rescue. This miraculous team puts their energy into some of the toughest cases - the abandoned, abused and neglected animals of North Texas. We saw Apollo's call for donations, and Jericho's story touched our hearts, so we just had to contribute to his journey! Meet Jericho today! 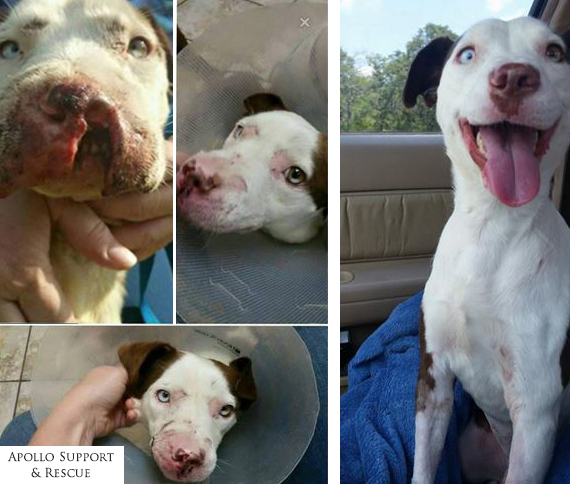 This adorable face took months of healing and rehabilitation. He's a cutie-pie who is looking for a calm and supportive forever home, so he can put the bad years behind him. If you're interested in adopting him, reach out to Apollo Support & Rescue- he'll capture your heart quickly! Apollo is a registered 501-C3 organization, which means that all the care for their animals is based on public donations. Your purchases of FarmHouse Fresh products made a difference! If you are moved by this team's efforts, consider making a private donation.